Jumbo Toys average over 24 inches long and are great fun for dogs who like big toys. Dogs will have a large toy and cuddly companion in one. They all squeak, grunt and rattle! 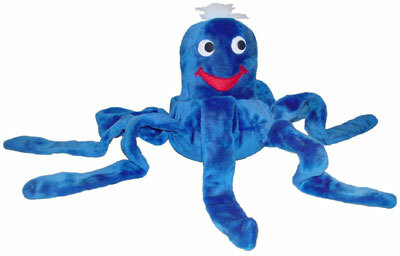 Plush Puppies - Octopus Jumbo product is categorised under Wholesale Plush Puppies (Kyjen), WA products, Wholesale Dog Products, Wholesale Toys, Wholesale Plush Toys.